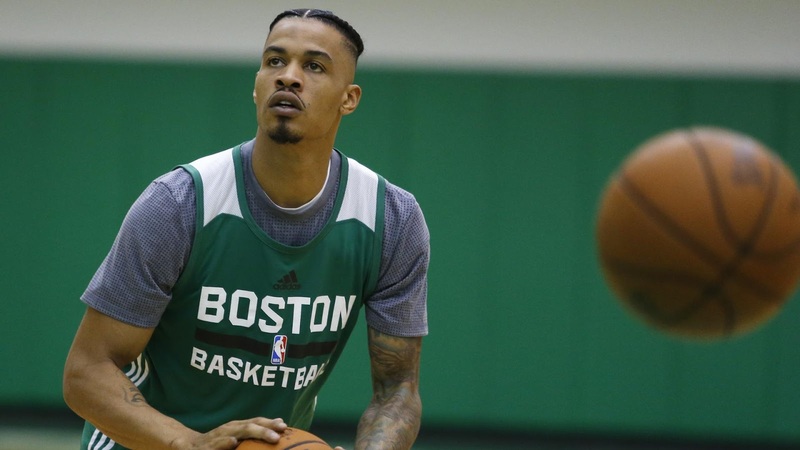 Gerald Green - should the Celtics have signed him for a third time? Gerald Green is now in his 11th NBA season, and he has played for eight different teams - two of them (Boston and Houston) twice. Should the Celtics have signed Gerald for the third time? It looks like it so far, but it is only a several-game sample. Holy smokes. Gerald Green scored 27 points tonight while shooting 7-of-10 from 3-point range. He's now averaging 18.3 PPG over the last 3 games. How was he a free agent up until last week? Green fell to the Celtics and was picked 18th in the 2005 draft. He was expected to go much higher. Gerald was a classic case of a youngster that was drafted out of high school but should have played at least one year in College. He had a mediocre rookie year in Boston and was part of the trade package that brought Kevin Garnett from Minnesota to Boston. He bounced around after that and had his best season in Phoenix averaging 28.4 minutes, 15.8 points and 3.4 rebounds. He had a career-high of 41 points, with eight 3-pointers, that same year. Upon his return to Boston, his numbers were only similar to his rookie year, but he did put up 18 points in a playoff game versus the Bulls. He is now back with the Houston Rockets and has played five games with them. His last two were back-to-backs and both were dazzling, averaging 28 points, 58% from the floor, 61% on threes, 100% on free throws, while grabbing 4.5 rebounds. This is Gerald's real value to a team. He can be streaky, but he can put up big numbers on occasion. In the video/tweet, he looks like a confident, mature veteran getting his shots off quickly and accurately. Not even close to what I saw when he was a Celtics rookie. Boston had the opportunity to sign him this season but chose not to do so. Hopefully, that non-move won't be regretted.